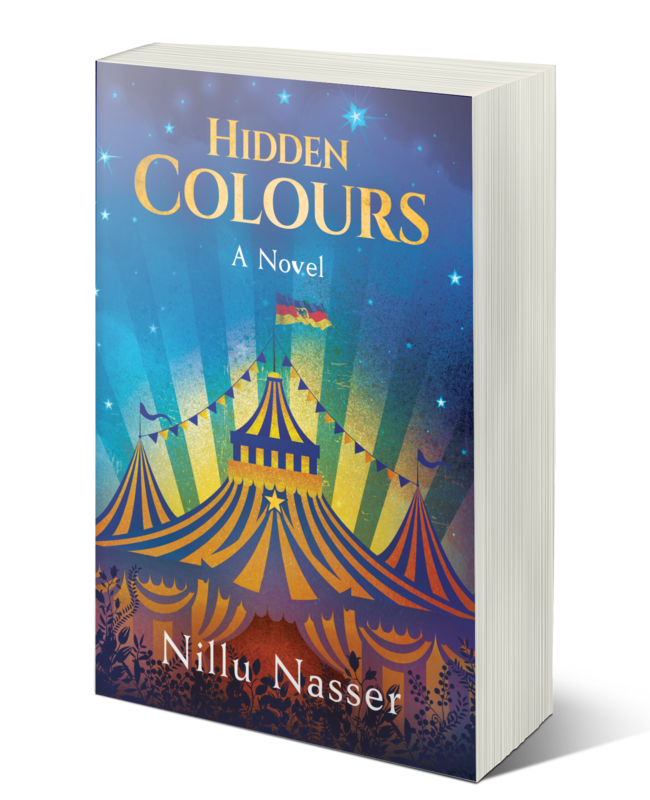 In March 2017, Nillu Nasser signed a three-book deal with Evolved Publishing: ALL THE TOMORROWS (6 November 2017), HIDDEN COLOURS (3 December 2018) and AN OCEAN OF MASKS (late 2019). All the Tomorrows is about second chances, the weight of tradition and gender, and the line between happiness and selfishness. For readers of literary fiction, those who like foreign travel and family sagas. ~ Readers’ Favorite Book Reviews. 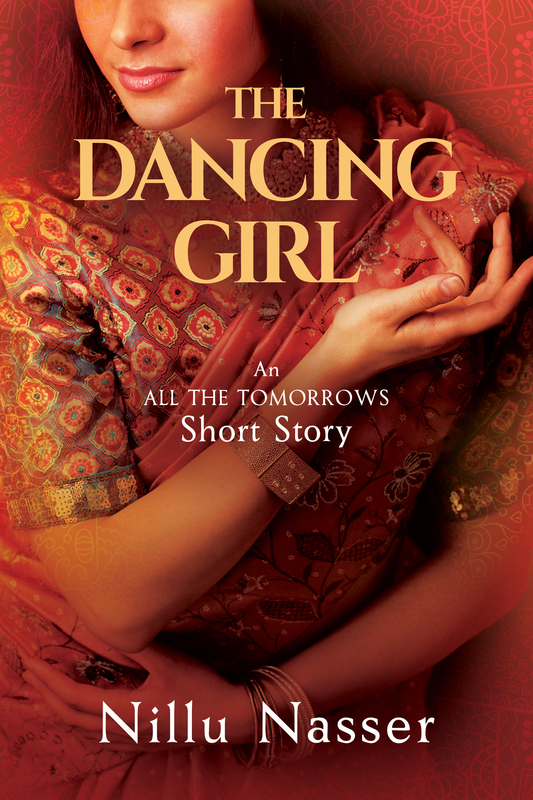 ‘The Dancing Girl’ (December 2018), a short story prequel set in the world of Nillu’s novel All the Tomorrows, about Ruhi and Jaya before they became married women. Available in e-book only. Ruhi is eighteen years old and determined to pave her own path through life, not such an easy thing in 1970s India. Her choices are not always her own, especially with a mother who rules the roost with cutting remarks and a whack from her rolling pin. Yet when an unwelcome houseguest reveals a family secret, Ruhi may have found the key to her freedom. ‘Painted Truths and Prayer Beads’ initially appeared in Mosaics 2: An Anthology of Independent Women and is now an e-book in its own right. Malek is forced to flee Uganda with her two sons in the 1970s and finds herself deposited in London. There, she must start anew. Joyce has everything she wants, or so it seems to those on the outside. Her made up face and pretty window boxes betray what really goes on at home. One night Joyce and Malek’s worlds collide, and in the inferno that follows, they must decide whether to make a stand for what matters most. 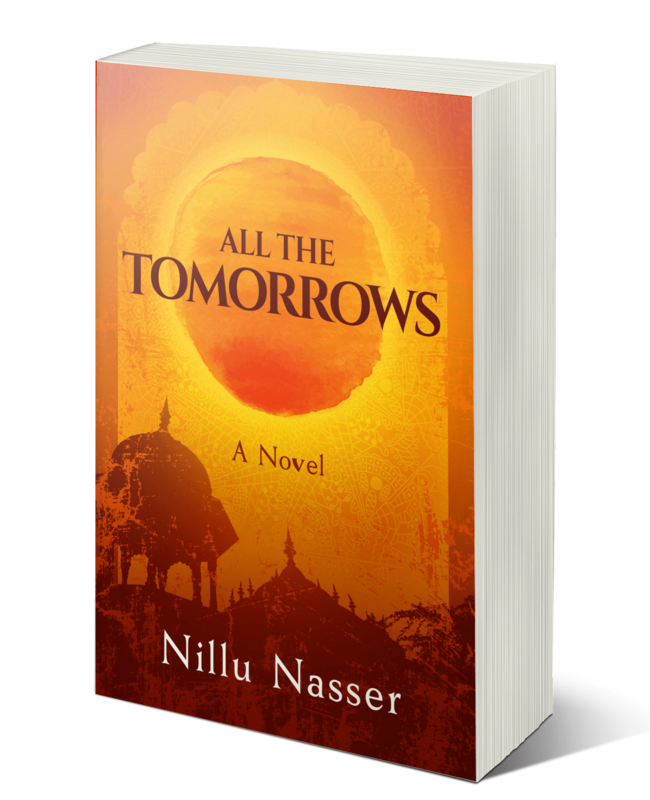 If you are in the UK, you can order a signed paperback of Nillu’s novels using the form below. For readers in other countries, signed books can be bought by emailing Nillu’s team. Please include an address and instructions on personalisation. Payment and invoicing is via PayPal.